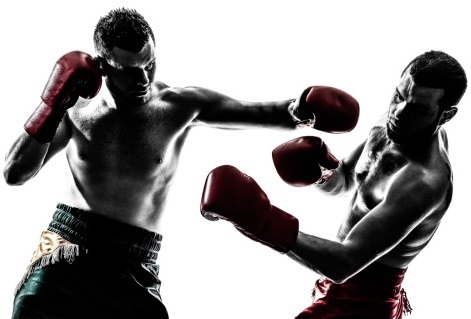 This article is a synopsis of my experience boxing again after shoulder surgery. Again, it is my personal experience. Your experience could be different but I hope that this article provides a rough roadmap of what to expect after shoulder surgery if you want to box (or do other martial arts) again. My right shoulder has always been a little bothersome. However, a couple of years before my shoulder surgery was when it was really acting up. I don’t think the injury came from boxing but I can’t pinpoint what happened because I don’t ever remember a singular traumatic event. Initially, corticosteroid injections worked. Probably because it wasn’t a full on tear then. But after 6 months of getting the injection, the pain came back and it was worse this time. The second injections didn’t take. And from then on, the shoulder remained pretty weak. Here were some signs that my shoulder problems were pretty serious and that I should check them out. I couldn’t snap my jabs out like I used to (I’m a southpaw). Doubling up my jab was also an issue. There was no power behind my punches. I couldn’t carry anything over 2 pounds above my shoulder. Any movement movement above my shoulder was painful. I tried going to physical therapy for a few months and it did not get better. So I went in and had an MRI. And it was what I had fear; I had a torn right rotator cuff. The decison for surgery was pretty easy because the tear was extremely limiting to my active lifestyle. So I went in for arthroscopic rotator cuff repair with bicep tenodesis and subacromial decompression. The surgery was quick and painless. The nerve block they used was helpful because I didn’t feel anything for the first day. The second day was when the nerve block wore off and I started to feel the pain. But it wasn’t bad—I didn’t have to take any of the meds they sent me home with. So they give you a sling to wear for the first month or so. However, they want you moving that shoulder right after surgery so I would take the arm out of the sling to do some shoulder pendulum swings every couple of hours. I started physical therapy a few weeks after surgery. They start light with some passive motion. Then gradually moved onto active motion, and then resisted range of motion exercises. I think the physical therapist (PT) started ramping up the physical therapy around the 2-month mark but didn’t push too hard; the tendon doesn’t fully stick to the bone until approximately the 3-month mark. There was a point from around 2 to 3 months where the range of motion (ROM) did not seem to improve. I was worried because I thought I hit a plateau. But I kept doing the rehab exercises and eventually ROM got better. After about 4 months, I stopped physical therapy because at that point, I could essentially do all the exercises they give me at home. Around this time, my range of motion was still limiting but it was improving week after week. The Physician Assistant (PA) was confident that I will be back at 100% at the 6-month mark. It turns out that was not the case. Or anywhere close to it. However, after asking friends and watching Youtube videos of people talking about their shoulder surgery, it seems like their progress was in line with mine. So I think it is just the case of the PA being overly optimistic. So if you have not fully recovered after six months, don’t sweat it. As long as you are making progress, you are on the right track. Although not fully recovered, my shoulder was feeling pretty decent at the 6-month mark. I had pretty much full range of motion except for external rotation and internal rotation. I remember being very tight when reaching for my back. Strength-wise, I was still super weak. I had trouble with even light weights; we are talking about struggling with 10 pounds doing dumbbell shoulder presses. Break up the scar tissue from the surgically repaired tendon or muscle. I never knew how much it improved how much my shoulder felt until I started massaging the back of my shoulder with the Pure Wave CM-7 massager. It hurt to do it—but it hurt good. But since they did give me the okay to return to sports, I started some light sparring at the 6-month mark. Just some light technical sparring, nothing too crazy. At the 6-month mark, my jab was still super slow and weak. I still didn’t feel confident throwing the lead hook. I saw rapid strength improvement around the 9-month mark because that was when I started doing conditioning on the shoulder with heavier weights. At the 1-year mark, I competed in both boxing and jiu jitsu without any restrictions on the shoulder. It’s been a 1.5 years since the surgery, my mobility is all back and sometimes it feels better than my other shoulder. I still need to work on strengthening the shoulder—I’ve been lazy with that. Strength-wise I would say that it is about 90% of the way there. I have been doing a lot of boxing-specific strengthening exercises the last couple of months and they have helped tremendously in getting my shoulder back to boxing shape—although I don’t do them often enough. Essentially I have been using 2-3 pound weights to jab, hook, play the long guard, and uppercut. I have also been doing jabs and lead hooks with power on the bags. If you are looking to get back into boxing after shoulder surgery, then work on boxing-specific strengthening exercises. I have also been doing dumbbell presses to help the overall conditioning of the shoulder. At the 6-month park, I was struggling with doing 10-pound dumbbell presses. But now, I can do 30 pounds with relative ease. At this point, the shoulder feels normal, like I didn’t have any surgery on it at all. External rotation and internal rotation gave me the hardest time after surgery so I worked a lot on that. But it’s different for everyone. Essentially, you want to observe the range of motion that is the weakest and most stiff, and work on that. In addition to regular rehab exercises, I followed a lot of the exercises from the Corrective Exercise Solutions to Common Hip and Shoulder Dysfunction book. It came highly recommended when I was looking up treatment options for my shoulder. When starting rehab, I definitely preferred resistance bands over dumbbells. With the resistance bands, I get constant pressure throughout the whole range of motion, whereas dumbbells only offer resistance prior to the tipping point. I found that I got the most benefit out of the rehab exercises by going super slow. It forced my muscles to stabilize and work harder than if I was rushing through the exercises. When getting back into the gym after you are cleared, do not go and automatically hit the heavy bag with maximum force. You should gradually work you shoulder up to it. -Resistance loop bands: I used this to work on my external rotation. To see how I used them, see exercise 5 of this video or starting at the 1:24 mark of this video. –Light dumbbell set (or this one): Getting a set of light dumbbells was pretty important in my recovery as I progressed. At the beginning of rehab, I started off with just 1 pound. Then went heavier as time went along. Even though my arm is fully functional now, I still use 1/2/3 pound dumbbells to work on strengthening my punches on the operated shoulder. -Regular resistance bands: Resistance bands are a must-have in any recovery plan. Make sure to get a bundle so there are varying levels of resistance. -Adjustable dumbbells: Of course, all of the above stuff was great and all for rehab, but when it came time to strengthen the shoulder, I needed real weight. I started off slowly with just 7 pounds. Then I eventually went heavier. Now I am regularly doing 30 to 40 pounds per dumbbell, depending on the exercise. For adjustable dumbbells, there are three popular ones on the market; the Bowflex SelectTech 552, the Powerblock, and the Ironmaster. You can check out my review of the 552 and comparison with of the three.